Pants: Rebecca Taylor. Top: Rebecca Taylor. Shoes: WhoWhatWear (under $40). Bag: Pamela Munson. Hat: Pamela Munson (also in pink). 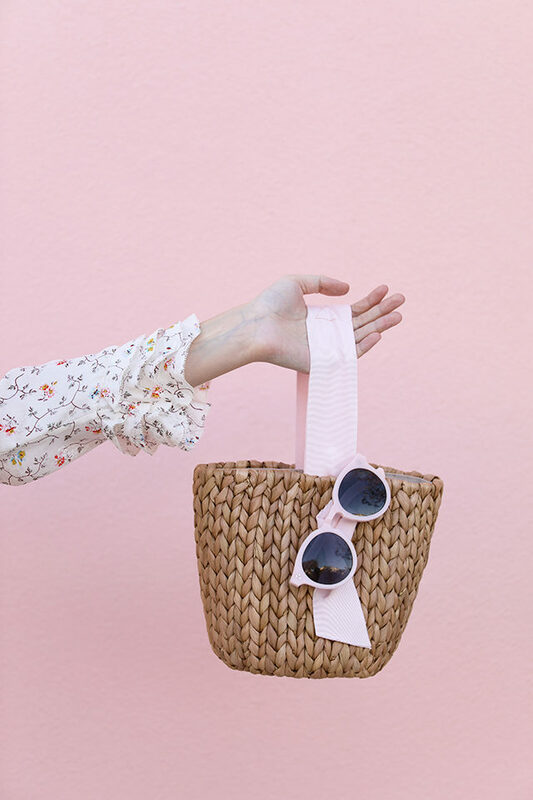 Sunglasses: Illesteva Leonard II in Cotton Candy- back in stock finally and on sale!. Shop all my favorites below! This whole look is so happy! You are looking absolutely stunning in this girly and romantic outfit, perfect for the upcoming Spring/ Summer! 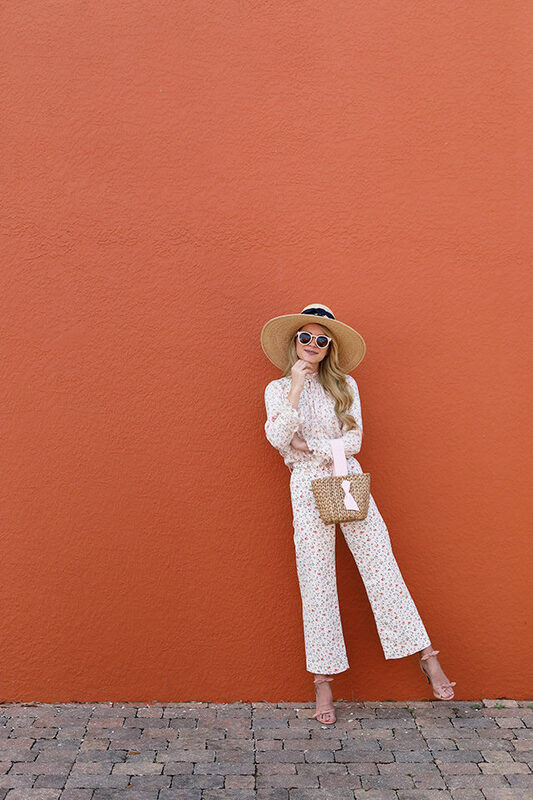 Such a gorgeous summer outfit! Really love the floral print! So beautiful Blaire!! Love following you!! 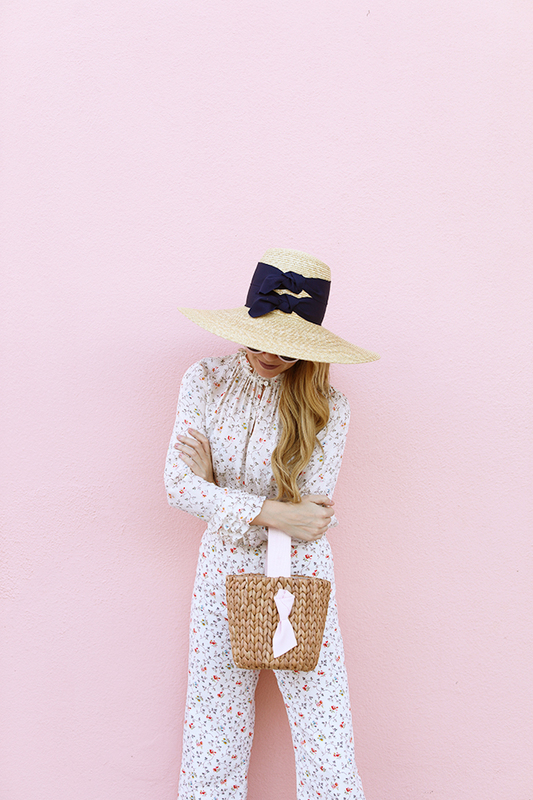 I love all the little bow details and the beautiful sunglasses and bag! Just perfect. Love the femininity of this set! 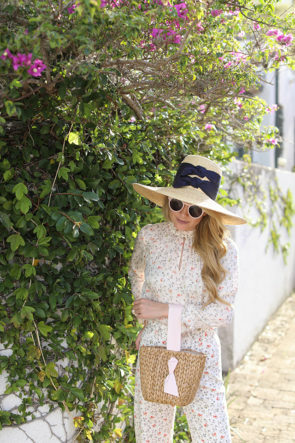 This is such a perfect outfit for spring! So airy and feminine! I actually thought you were wearing a jumpsuit! But I love the ditsy floral pattern! Pretty! 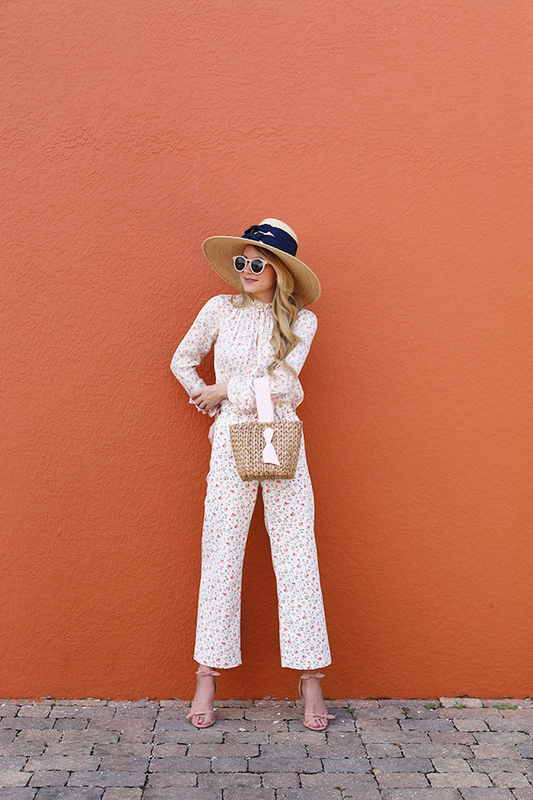 This jumpsuit is so beautiful, love the print. 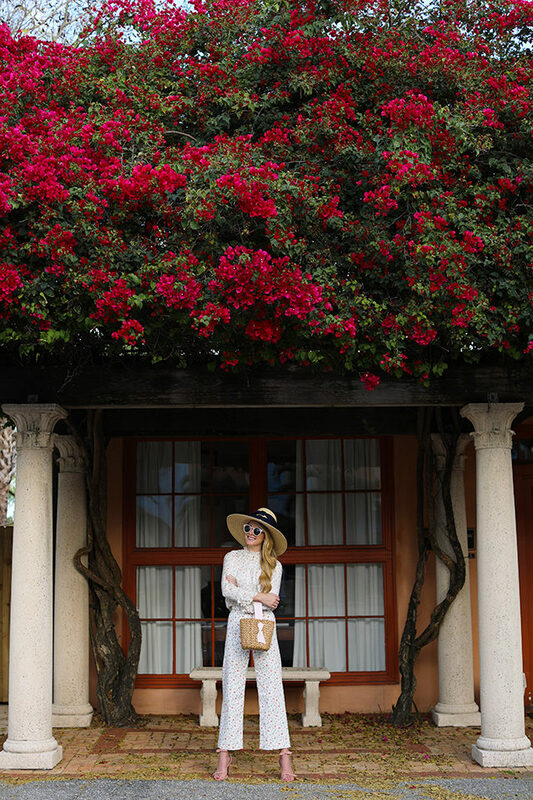 Love the hat and the bag. So cute. The flower print looks so nice and so spring ready! Love it! I so love the floral print! It looks so lovely and chic! FAQ // WHAT IS MERCHANDISING?